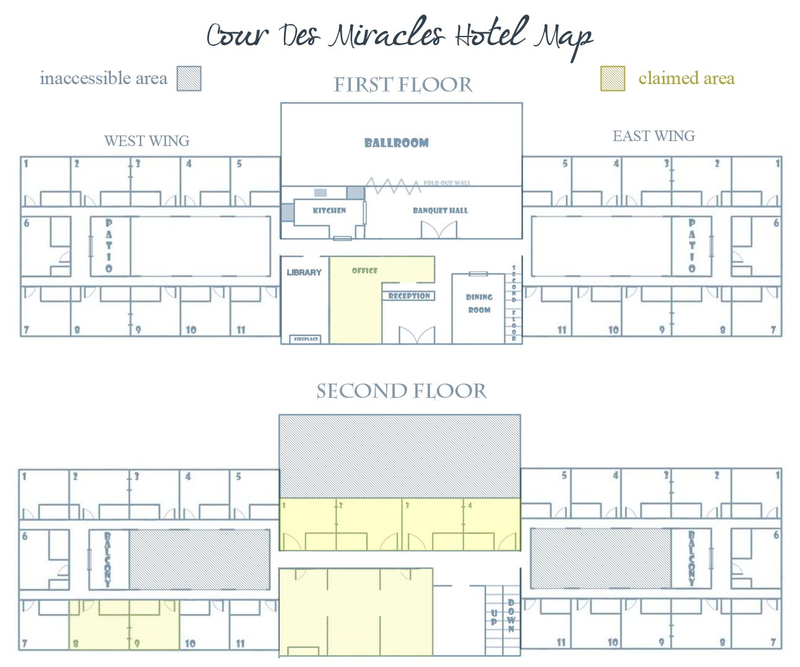 Cour des Miracles was originally founded by as a place where dogs and dog hybrids could go to escape the pressures of wolf and coyote heavy packs. Despite this, it holds no blood restrictions for joining, not requiring members to have any dog blood at all. Cour des Miracles has laid claim to a large stretch of the former Shattered Coast. The rocks and sands of the beaches make up a good chunk of the land, though as one travels further inland there are lush meadows and woodland. Once home to many unique landscapes and locations in Nova Scotia, the destruction brought by the Meteor in 2016 rendered a good portion of the coastline destroyed. Now wedge between two lakes and the sea, the Court enjoys vast fields, forests, and rivers. The land is riddled with caves on the coast and quaint houses further in. The treacherous coast keeps the Court safe from any seaward would-be attackers. Cour des Miracles operates on a 4-tiered rank system based on the royal courts of Europe as noted by rank names. These tiers are grouped as: Domestic ranks, Labor ranks, Intel ranks, and Cavalry ranks. Each tier has specific professions available for characters of these ranks to pursue and members may hold professions from other tiers if desired. Members who show clear initiative and participation are risen through the ranks of this noble court. See our extended history information here. There has been quite a lot of changes over the course of the pack's history, especially when considering that it has been an active community on 'Souls since 2009! Members: See our Membership Directory or the Cour des Miracles category. Former Members: See Cour des Miracles category. 2013: Estella Butler, Samuel Butler, Basil Butler, Silvia Butler, Vivienne Butler, Valencia Catori, Aithne Marino. 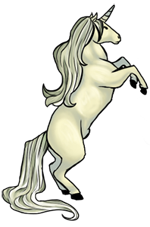 For more information on the culture of Cour des Miracles, please take a further look at our Culture page. Along with proper shows of submission, all members of the Court must properly address one another. Members should refer to one another by the formal rank and name combination until they have greeted one another. Whether or not the formal address continues into the meeting is dependent on the situation. There have been no notable interactions between Cour des Miracles and Salsola, though some members are family to one another. 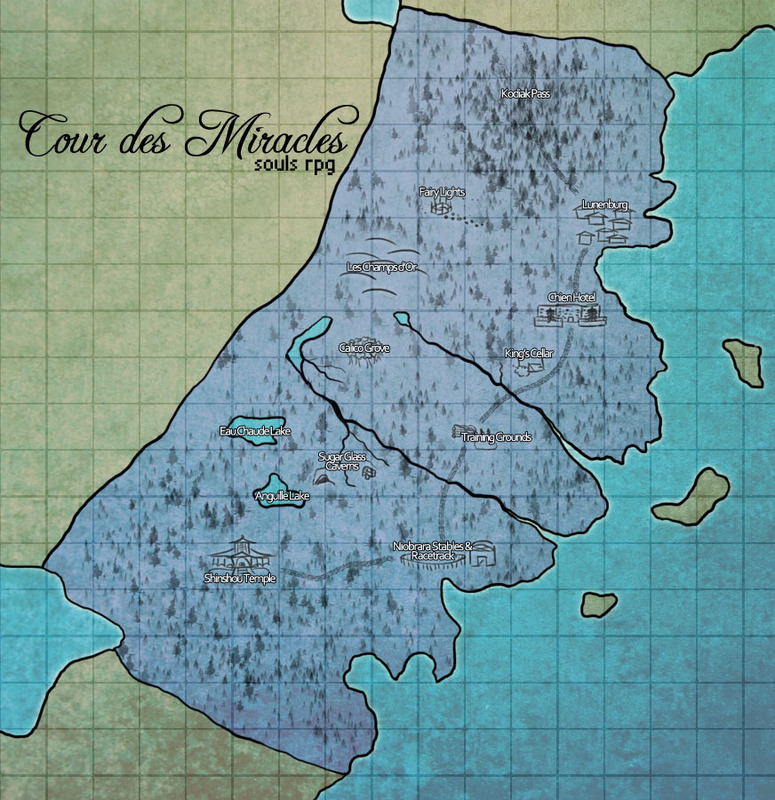 There have been no notable interactions between Cour des Miracles and Mistfell Vale. A group from the Court founded the Vale. While there is nothing official between the two packs, Silvano Sadira was considered to be close to Krokar's Semini and some Stormbringer relations of Silvano's children reside in Krokar. Casa di Cavalieri was founded in part by a member of Cour des Miracles and the packs have had a good relationship because of this and have an official alliance. 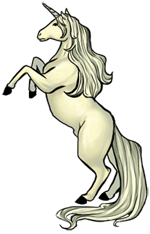 See the Cour des Miracles History page for more information on defunct packs.